Life can change in a matter of seconds. 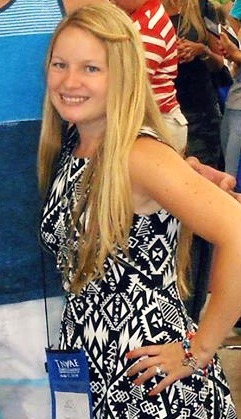 One minute you’re laughing and enjoying life feeling invincible. Then BAM! Everything changes in a blink of an eye. My life has always been one big crazy party. That is until everything spiraled out of control. We made a catastrophic misjudgment putting trust in two people with evil intentions. Sadly none of us knew until it was too late. Now my best friend’s life is hanging in the balance and danger still lurks in the shadows. To make matters worse the 'never fall in love' motto I had all of my life just flew out the window at the worst time possible as I find myself torn between two men. What do you do when your heart is pulling you in one direction but your head is pulling you in another? 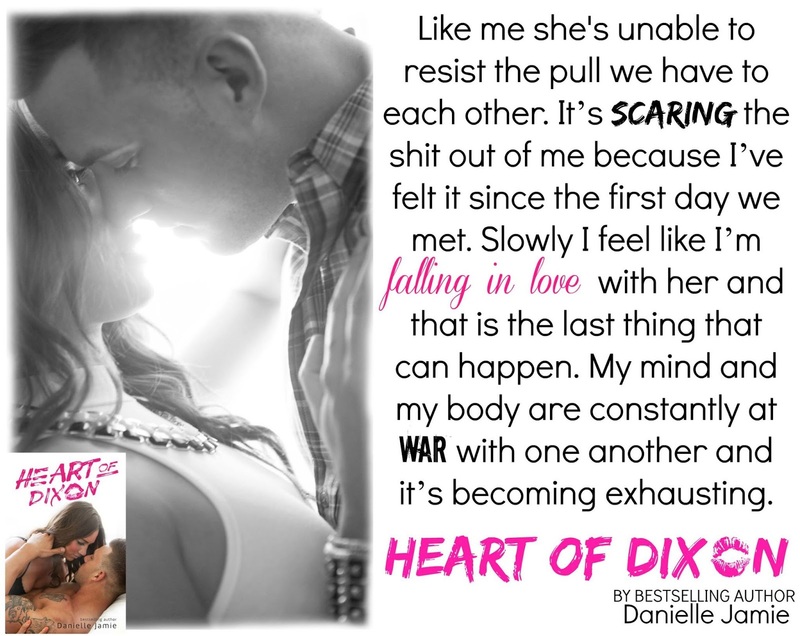 I was so excited to get my hands on ‘Heart of Dixon’ after falling in love with both Brooklyn and Dixon in Danielle Jamie’s ‘Savannah Series’. But I was kinda disappointed in it. I felt as if I didn’t get the story the title gives off. I enjoyed this book I really did, but because I have read the ‘Savannah Series’ I already knew a lot of what was happening and what’s to come. I felt as though it was basically a re-cap of what happened in the ‘Savannah Series’ but with a bit more Brooklyn and Dixon. I would’ve loved a bit more of a separate story than what was given to us. That being said I did love getting to see a completely different side to the feisty Brooklyn we have come to know and love. ‘Heart of Dixon’ takes us back to the more heartbreaking and emotional times between Dixon and Brooklyn. We get to see the inner turmoil and battles between head, heart and body that was constantly going on for the both of them. That is what I loved most about this book; it wasn’t the back story but the emotions and battles. And although this book didn’t wow me as much as I was expecting it to, I will keep with it in the hopes that the next one will be more ‘Story’ and less re-capping. I love Danielle Jamie and I love Dixon and Brooklyn. I just want them. I do encourage you to check this series out as well as the ‘Savannah Series’.